Buying a home is arguably one of the most important decisions one can make in life. Homebuyers face many steps, complications and curveballs in the process. 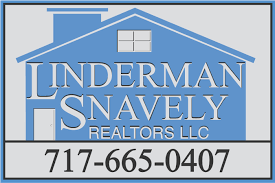 Save some time (and money) by learning about the top mistakes you can avoid as a homebuyer from Linderman Snavely Realtors LLC. While many homebuyers look to their loved ones for tips seeing as they might have more experience, it’s important to know that every home buying experience is unique. For one, what might’ve worked in one state does not necessarily work in another. Additionally, what a homeowner experienced four years ago, may not be true to the current market. Seek advice from industry professionals who are very familiar with your personal situation and where that fits in today’s market. Lenders will help you develop a plan to outline and your goals. Some homebuyers are under the impression that they may be wasting the lender’s time if they are not ready to buy immediately. However, it’s quite the contrary. There are many cases where it take a longer than expected to qualify for a loan. The earlier you consult with a lender, the better. Many homebuyers focus on the mortgage and often lose sight of the various other costs they’ll accrue with buying a house. It is essential to carefully outline monthly costs to cover not only standard maintenance of the home, but the unexpected ones as well. Remember HOA fees and property taxes come with buying a home too. It’s common that house hunters will formulate a list of needs for their dream home. It’s often hard to find everything that they need under one roof and within the budget. What homebuyers can do instead is take a good look at their list and make a wants column. Take anything not 100% necessary and add it to the wants. Keep in mind there is always the option for upgrading later if everything isn’t quite “perfect” from the start. Buying home is not a quick process. Industry professionals can certainly make it easier and can guide you throughout, but ultimately, it is up to you to determine how it will go. Learning from other individuals’ mistakes (so you don’t have to) is a good start. For more information on common mistakes you can avoid when buying a home, contact the real estate experts at Linderman Snavely Realtors LLC today.